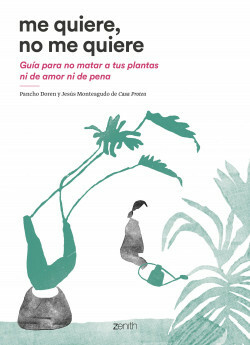 A guide not to kill your plants neither of love nor of sorrow. This is a book full of stories, anecdotes and practical information about the botanical world. Through its pages, the authors share their experience and knowledge about tropical plants, air plants, cactus, etc. It also includes step-by-step tutorials explaining how to create anything, from your own macramé hangers to your organic fertilizers. In short, it is a basic guide for anyone who wants to start in the fascinating world of plants and learn how to take good care of them.